The ZTE Blade V7 Lite is cheap, but not quite cheerful enough to justify the savings, with poor performance and a sub-par camera. Factor in a chipset which offers thoroughly average performance levels and the Blade V7 Lite begins to look more like its £150/$225 price tag – despite the admittedly gorgeous metal bodywork, which is both svelte and comfortable to hold. A solid build quality and acceptable camera help this phone to stand out against similar budget handsets, but overall performance can feel slow and sluggish at times. If ZTE had included a slightly better processor, the Blade V7 Lite would’ve made a very attractive package. As it stands, this is just another good budget phone. For less than £10 a month on contract, the Blade V7 Lite does a good job of offering a strong set of features while keeping the cost down. You get a sturdy, attractive Android handset packed with all kinds of gesture controls, plus a solid HD display and a fingerprint sensor for extra security. Positive: Low price; excellent speakers; flexible fingerprint sensor; good cameras; nice display. Negative: Mediocre hardware; unsupport fast charge. 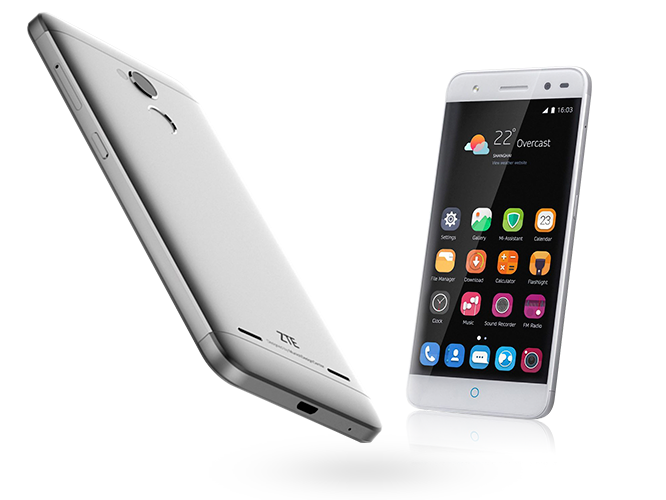 69% Recensione ZTE Blade V7 Lite: bello ma… poco altro! Positive: Nice screen; high autonomy; beautiful design. Positive: Good fingerprint reader; decent front cameras; metal case. Negative: Average speakers; thick screen. 73% ZTE Blade V7 Lite - Золотой, металлический и "Легкий"
69.83%: This rating is bad. Most notebooks are better rated. This is not a recommendation for purchase.